St. Johns River State College’s Science Café lectures continue this spring with a film and discussion on plastic pollution. Florida Sea Grant agent Dr. Maia McGuire will present the film “The Smog of the Sea” on Tuesday, February 12 at 7:00 p.m. on the Orange Park campus (Room D14). research expedition discovered an actual “fog” of microplastics — trillions of barely visible shards — permeating the world’s oceans. Using sparkling underwater cinematography and live-action footage of the crew’s research, “The Smog of the Sea” makes an artful call to action for rethinking single-use plastic. The film chronicles a one-week journey through the remote waters of the Sargasso Sea. Marine scientist Marcus Eriksen invited onboard an unusual crew to help him study the sea: renowned surfers Keith and Dan Malloy, musician Jack Johnson, spearfisher woman Kimi Werner, and bodysurfer Mark Cunningham. 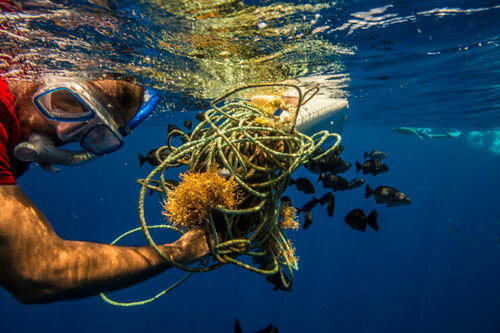 The team became citizen scientists on a mission to assess the fate of plastics in the world’s oceans. 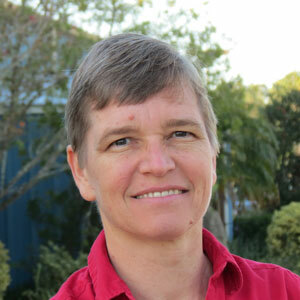 Dr. McGuire joined the Florida Sea Grant Extension Program at the University of Florida in 2001. As a SGE agent, she conducts informal education programs on topics including marine debris, climate change, and invasive species. In 2015, she was awarded a NOAA Marine Debris Outreach and Education grant to start the Florida Microplastic Awareness Project. A native of Bermuda, Dr. McGuire developed an interest in marine biology at an early age. She earned a bachelor’s degree in marine biology from the Florida Institute of Technology and a doctorate in marine biology from the University of Miami. Café participants will experience a casual evening filled with interesting topics, tasty treats and engaging conversation. February’s Science Café will include a beeswax food wrap project for attendees. The event is free and open to the public.